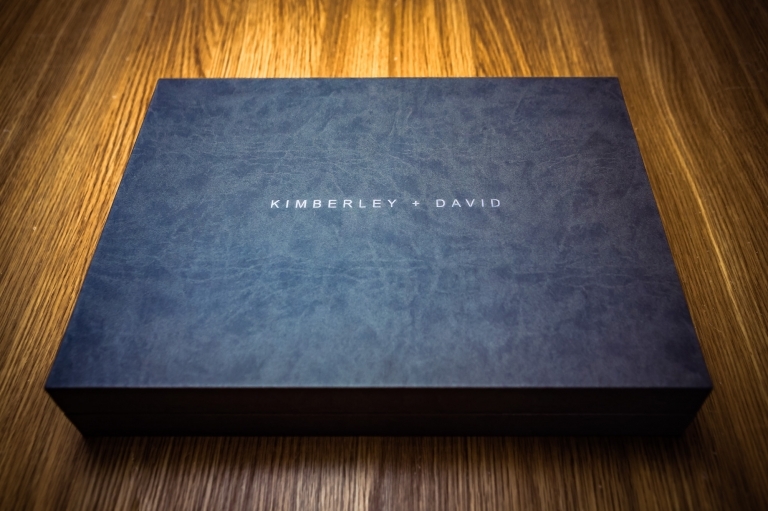 I have another new album design to share with you guys today – this time around featuring Kim & Dave’s fabulous day at 29 Glasgow back in May last year. For their album, the guys went for the very stylish “Young Book” from my lab, Graphistudio. 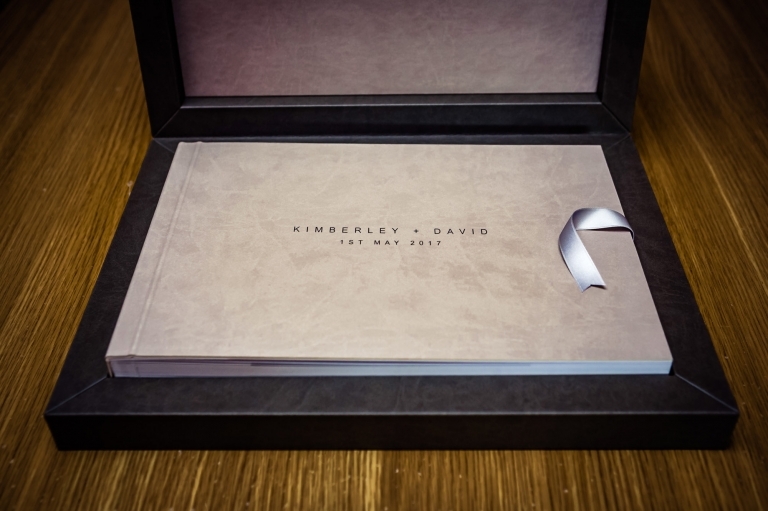 The album itself featured a pink powder grey cloud leather cover with titles in smoke grey raised varnish. 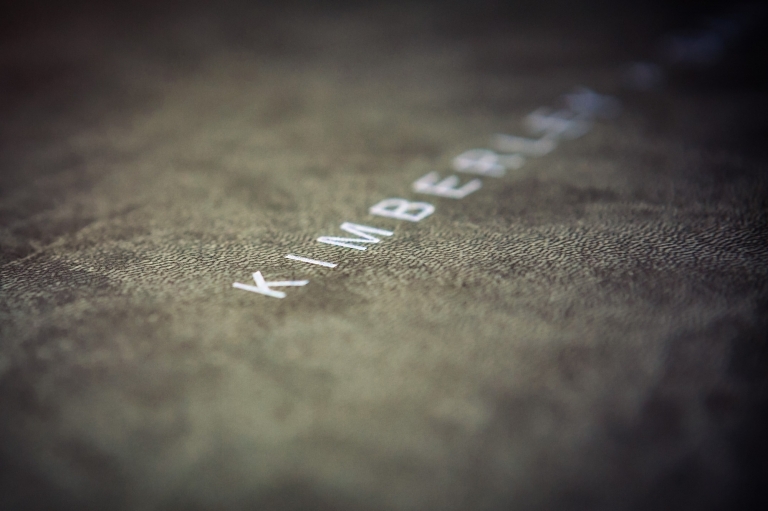 The box, also in cloud leather, was finished in smoke grey and highlighted with titles in raised and varnished pink powder grey to complement the album cover image. The 60 pages of loveliness were finished off using Canon’s high definition lustre paper :-). “Mike was a dream to work with from start to finish! We always knew what style of pictures we wanted and after Mike was recommended to me by a friend we thought he could deliver exactly what we were looking for, and he did not disappoint. From being there to answer any questions we had on the lead up to the big day, including a change of date and venue from us which was changed with no issues whatsoever, to being extremely professional and passionate but also relaxed on the day making everyone feel at ease, to our beautiful album, we could not recommend Mike enough. I do believe that I’m partnered with the best album company in the world, Graphistudio from Italy, used by the majority of top professional wedding photographers worldwide. Check these out…there’s so many ways in which the album can be customised in terms of covers, back & spines, boxes, colours etc, that apparently there are about 4 million different combinations in total! You can therefore be assured that your album will be truly unique and personalised to your taste:-). Here’s a few images of the actual album, along with the proof design for all of the pages. Please feel free to leave a comment at the bottom…I’d love to know what you think :-). I love shooting weddings but I do often get booked up around 18-24 months in advance, so if you’re keen to book with me, or just need more information, please do get in touch. My wedding collections start at £1300 although I do offer a wee discount where you can save up to £400…just get in touch for more details.